Cold Dude Computers: New Fruit Combo Pin! 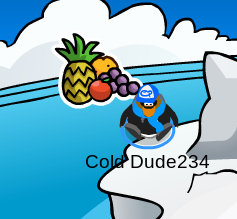 Recently Club Penguin released a new pin which is called the Fruit Combo Pin! The location of this new pin is The Iceberg. This pin looks like it was drawn a long time a ago or something but they decided not to release it until now. What do you think? Leave a comment and let us know!